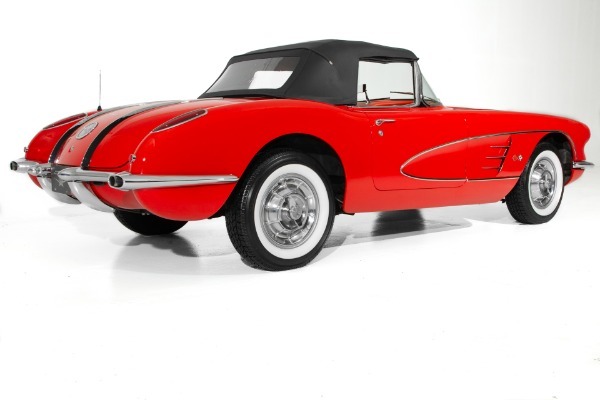 1958 Chevrolet Corvette Convertible Gorgeous! 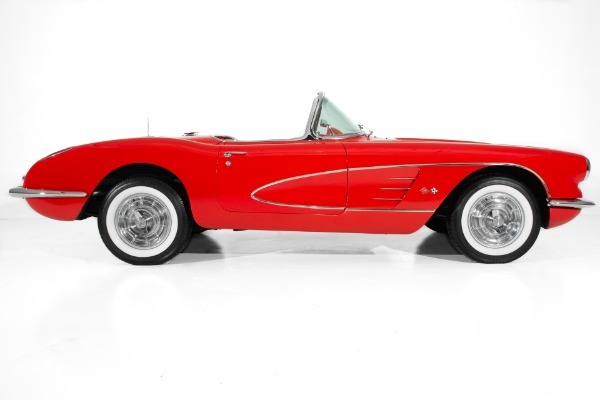 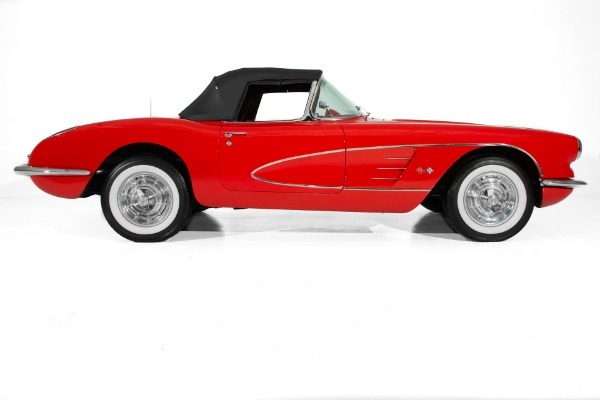 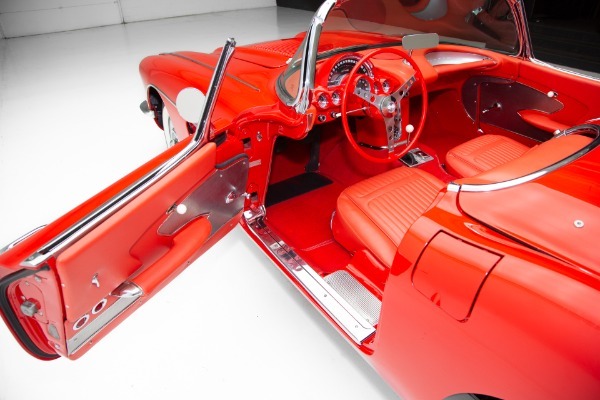 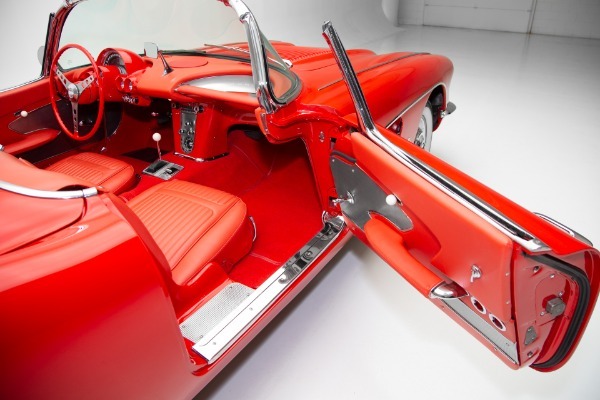 Radiant Red on Red 1958 Corvette roadster. 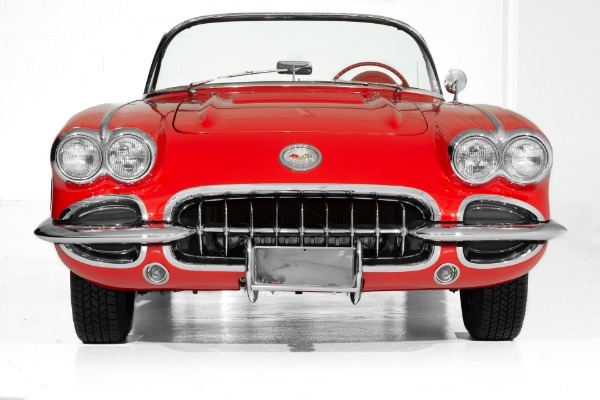 Magnificent car with a meticulous restoration from bumper to bumper with only 758 miles on the the build. 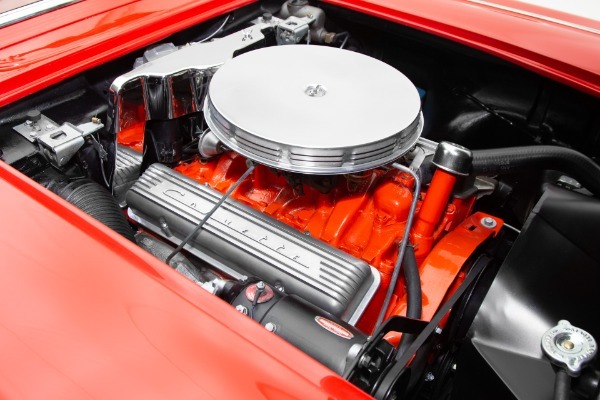 Powered by the correct 283 c.i. 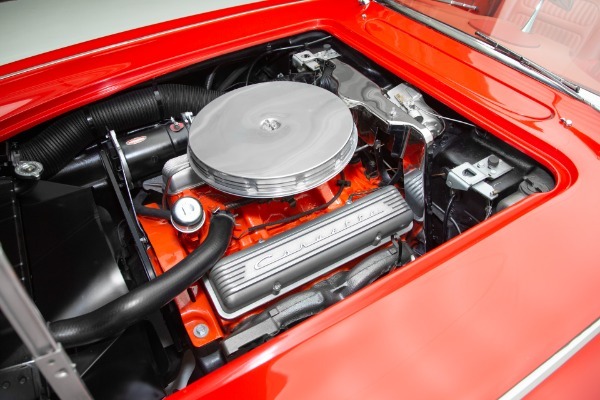 engine that runs like a watch. 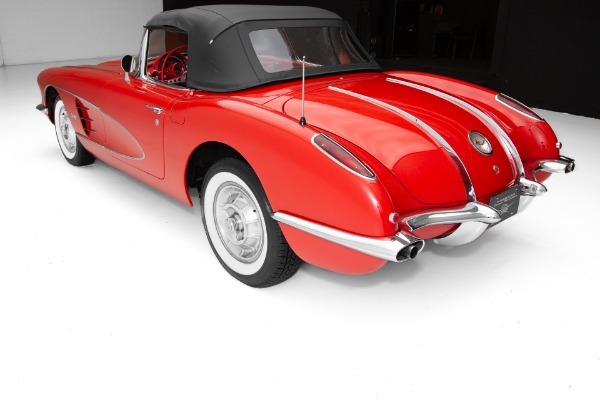 Stunning new color correct Signet Red professionally painted over a gorgeous fiberglass body with beautiful lines and tight panel fit. 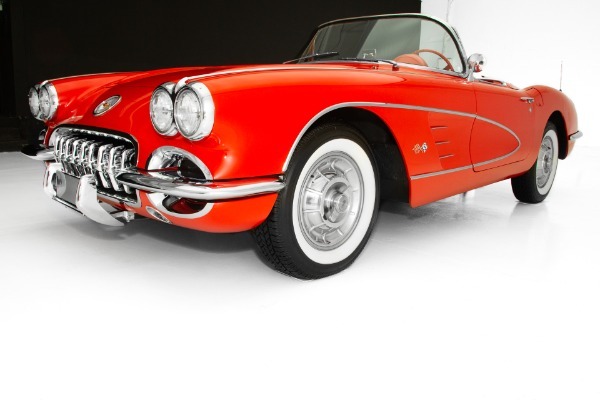 New refurbished chrome all the way around was used to embellish this jewel and definitely sparkles in the sun. 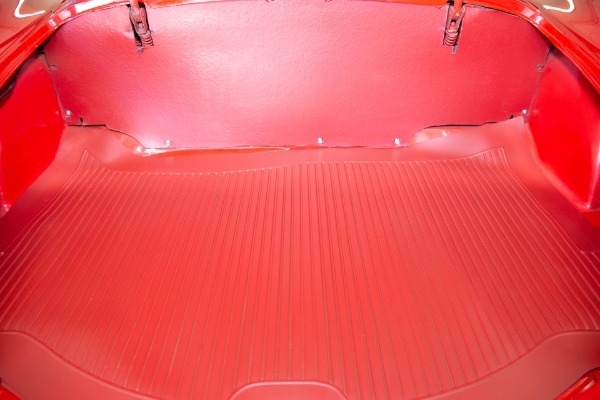 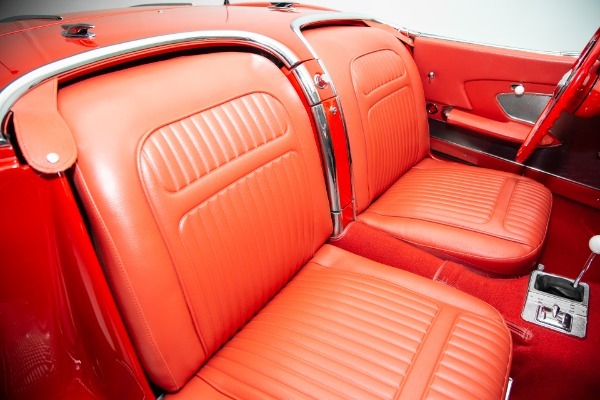 The red interior looks as good as new and is almost all new including seats, carpet, trim door panels and the dash has been restored and looks like new. 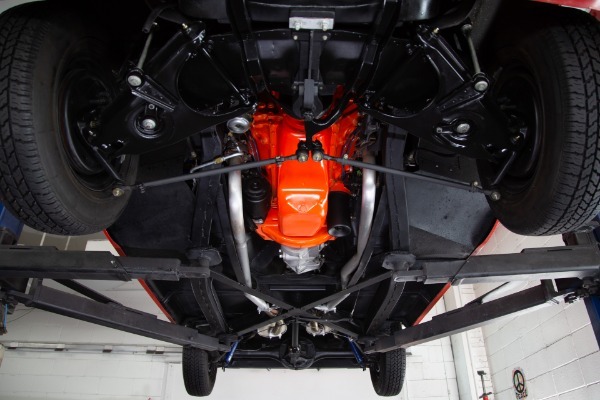 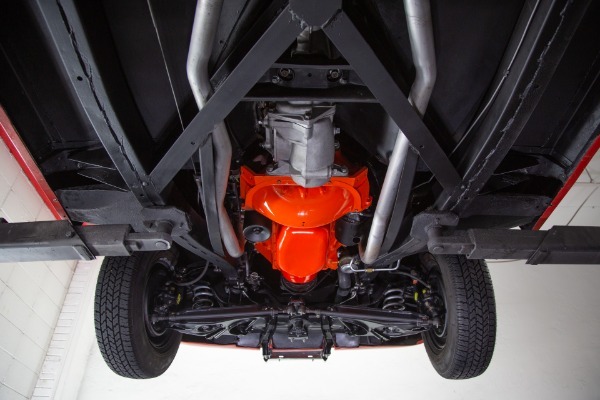 Very clean and detailed undercarriage with rebuilt suspension, blasted and repainted frame rails, new dual exhaust. 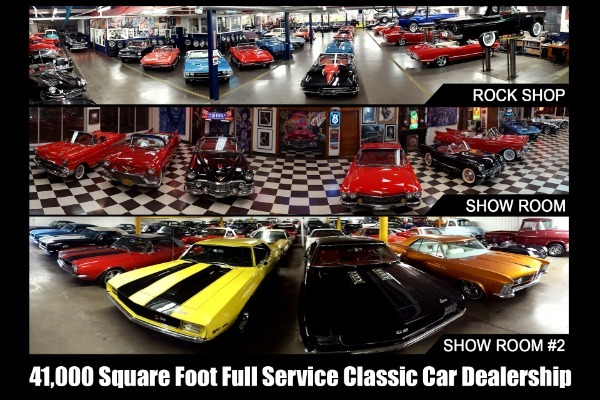 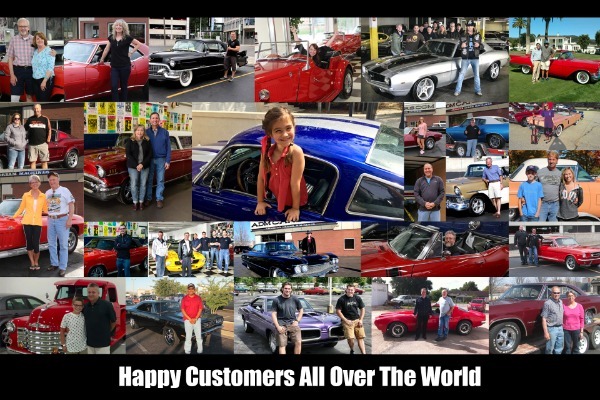 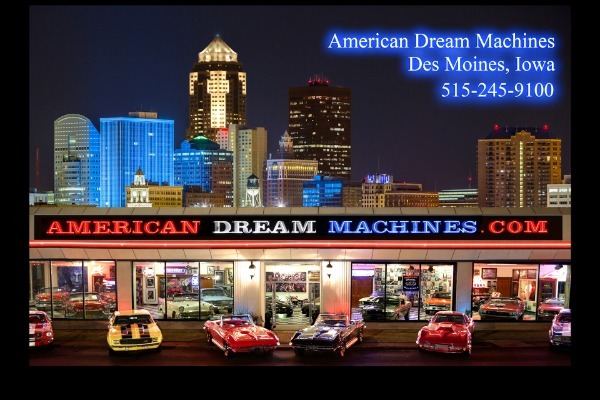 The impeccable car is rolling on correct steel wheels, spinner wheel covers and new wide whites. 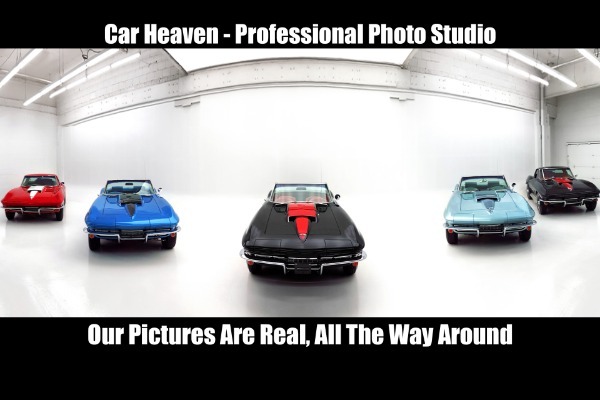 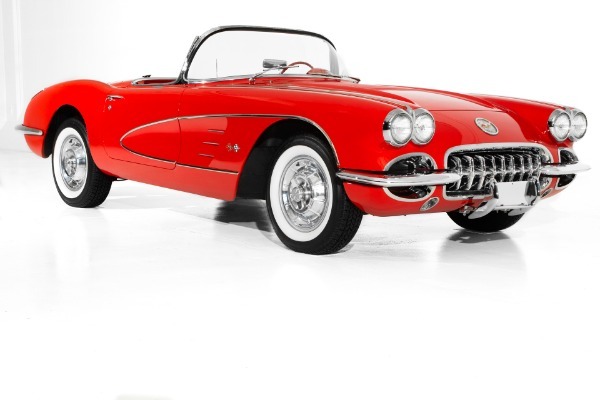 "The first generation of Corvette was introduced late in the 1953 model year. 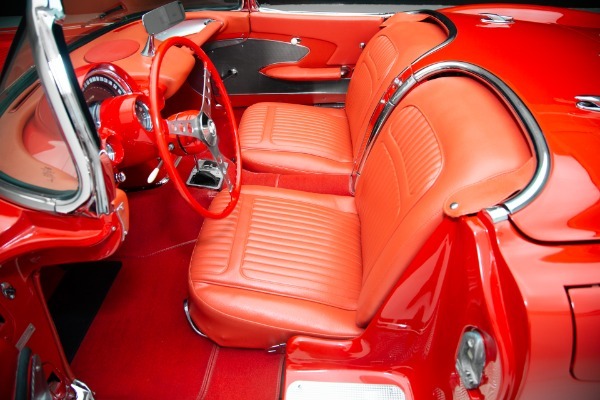 Originally designed as a show car for the 1953 Motorama display at the New York Auto Show, it generated enough interest to induce GM to make a production version to sell to the public. First production was on June 30, 1953." 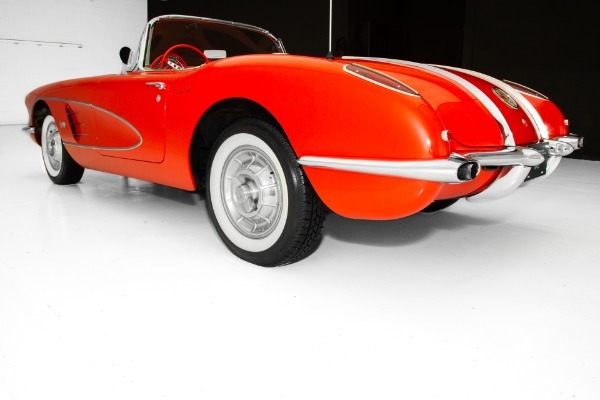 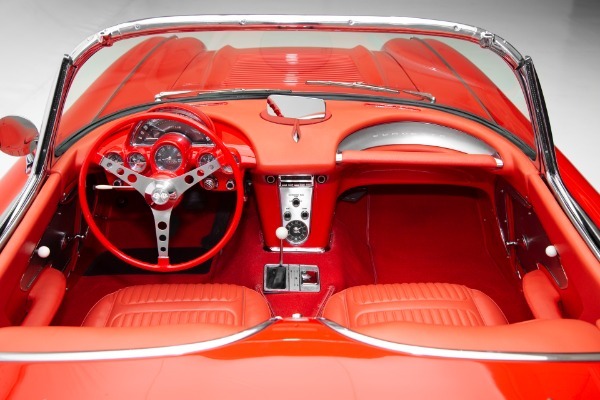 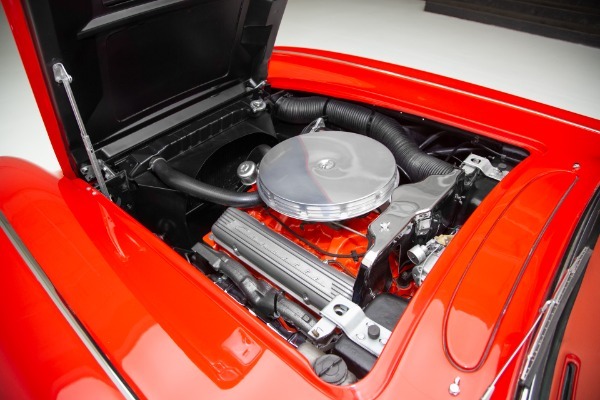 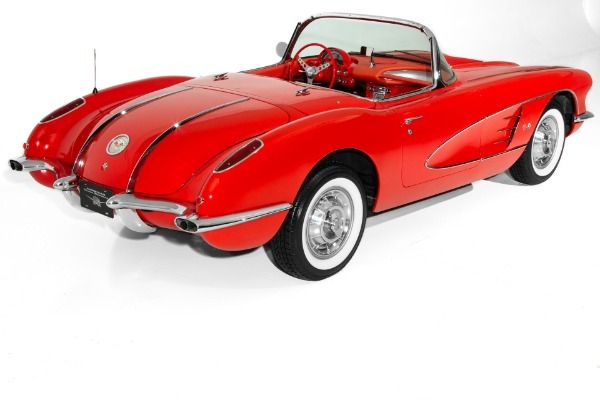 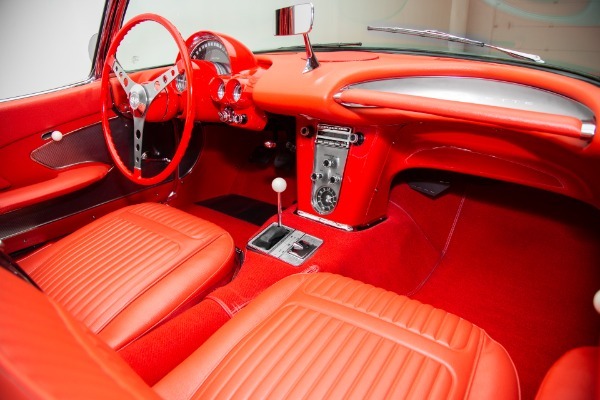 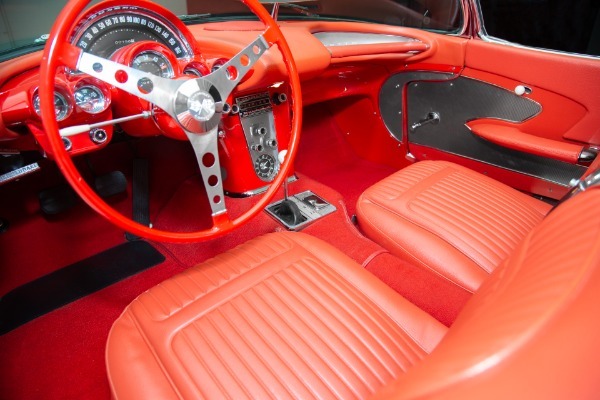 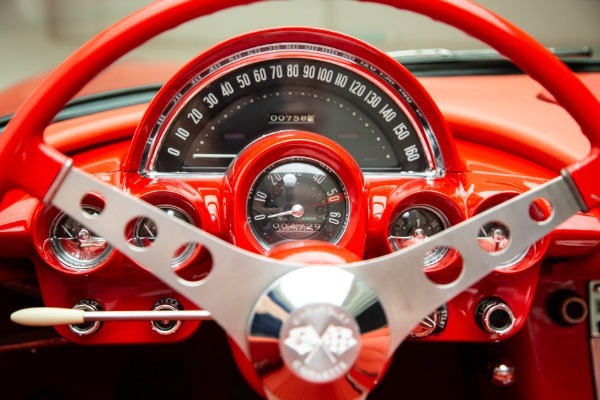 "The 1958 Corvette received a body and interior freshening which included a longer front end with quad headlamps, bumper exiting exhaust tips, a new steering wheel, and a dashboard with all gauges mounted directly in front of the driver. 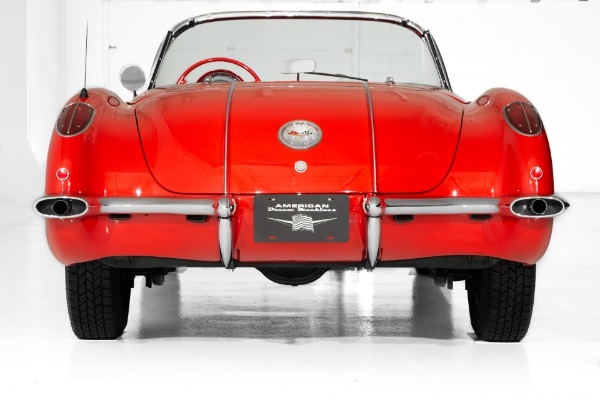 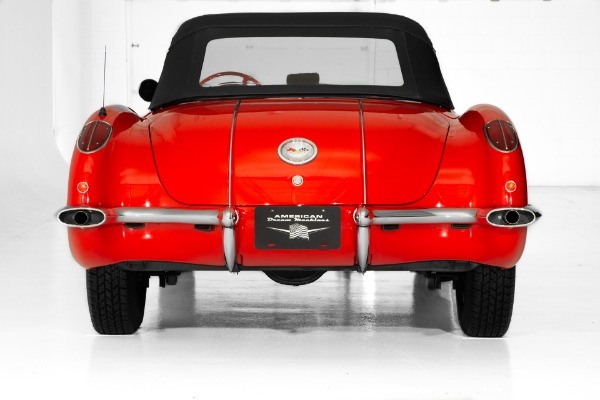 Exclusive to the 1958 model were hood louvers and twin trunk spears."